Heilind Electronics will be exhibiting at EWPTE in Milwaukee from 5/8 through 5/9. Heilind Electronics, a leading global distributor of electronic components, will be exhibiting its innovative electrical wire and cable connector solutions this May at the Electrical Wire Processing Technology Expo (EWPTE) in Milwaukee, Wisconsin. 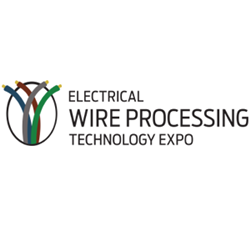 EWPTE is the world’s largest event dedicated to the electrical wire and cable processing industry, with a focus on cable assemblies, cord sets, wiring harnesses and related products. At the event, Heilind will be highlighting products from leading manufacturers such as 3M, Alpha Wire, Bel Magnetic Solutions, Brady, HARTING, HellermannTyton, Hirose, JST, Molex, Panduit, TE Connectivity and WAGO. Heilind Electronics, which serves customers ranging from start-ups to multinational OEMs, will have representatives and product samples at booth #1853 for the duration of the show. EWPTE takes place May 8 and May 9 at Wisconsin Center in Milwaukee. Heilind Electronics, Inc. (http://www.heilind.com) is one of the world's leading distributors of connectors, relays, sensors, switches, thermal management and circuit protection products, terminal blocks, wire and cable, wiring accessories and insulation and identification products. Founded in 1974, Heilind has locations throughout the U.S., Canada, Mexico, Brazil, Germany, Singapore, Hong Kong and China. Follow Heilind on Facebook at facebook.com/Heilind and on Twitter at twitter.com/Heilind.